The DGS Hibiki – Hibiki Tokkun Daisakusen! game site has been updated with tokuten information and a desktop wallpaper has been added as well. The special pouch included with the limited edition version of the game will feature an 8-bit design of HiroC and OnoD. No information is given about the contents of the special talk CD. The 2010 calendar you can get with pre-orders will feature 20 pages with images of all the game characters and also have a new illustration of HiroC and OnoD on the cover. A sample image (most likely the cover) can be seen on the website. As discussed on DGS #133, there were many leftover CCP goods from DenFes so they’re all up on A&G’s web shop. The only item not available is the Nyaa san no Shippo Strap as that was the only one that sold out. They didn’t say aloud how much they’ve fallen into debt but it sounds like they’re pretty deep in the red. Hibiki goods will be sold at Animate stores starting November 5. And now for a review of the latest chapter of DGS Hibiki from SYLPH vol.9. Sorry, it’s been a while since I’ve written a chapter review. In the previous chapter, Black Hibiki appeared and threatened to take over Hibiki. They challenged HiroC and OnoD to see who can help the most otomes within a week. The cover of this issue features Kuranoa. Furoku included a Kuranoa drama CD (OnoD voices Ichi) and bookmarks from the DGS Hibiki game. insists, he gets mad, saying that they have a challenge they can’t afford to lose either. OnoD, on the other hand, is much more level-headed about the entire situation and even tells HiroC that it doesn’t really matter if they lose against Black Hibiki. He says that HiroC’s behavior is the worst right now and that he has no right to wear the tsunagi (jumpsuit). This sets HiroC off and the chapter ends with HiroC grabbing the neck of OnoD’s shirt. I thought the end of this chapter was very well-written. HiroC is usually the calmer of the two but this time it’s HiroC who loses his cool and OnoD shows his more mature side. To put it bluntly, HiroC was a jerk. It’s nice to see OnoD take the spotlight once in a while and I’m excited for the next chapter! 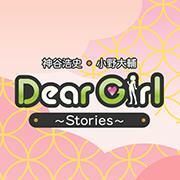 Vol.10 will have DGS Hibiki on the cover and include a report on DenFes. It will be released November 21.